Dinner on the table in 20 minutes. 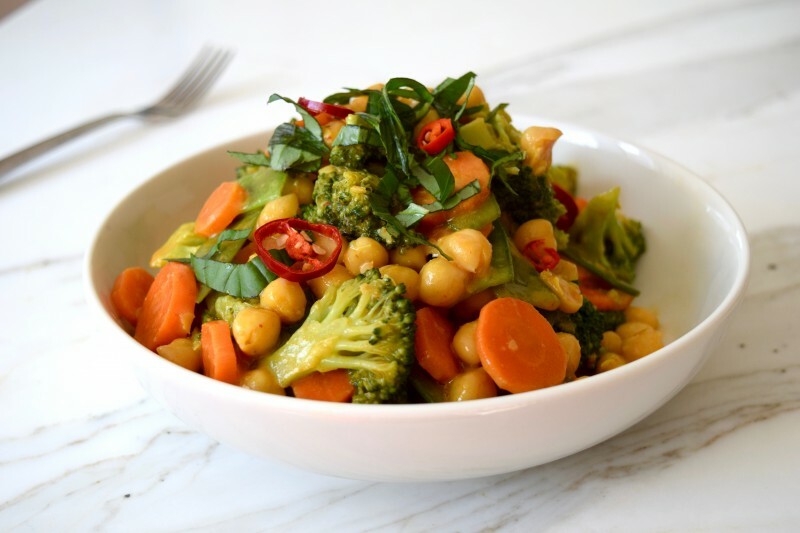 What I love about this easy vegetable curry recipe, is that you can use any vegetables you have on hand. Of course you can start with the ones I provide you in the recipe, but don’t feel compelled to stick to it. If you want a more fall-inspired dish, consider this pumpkin version. 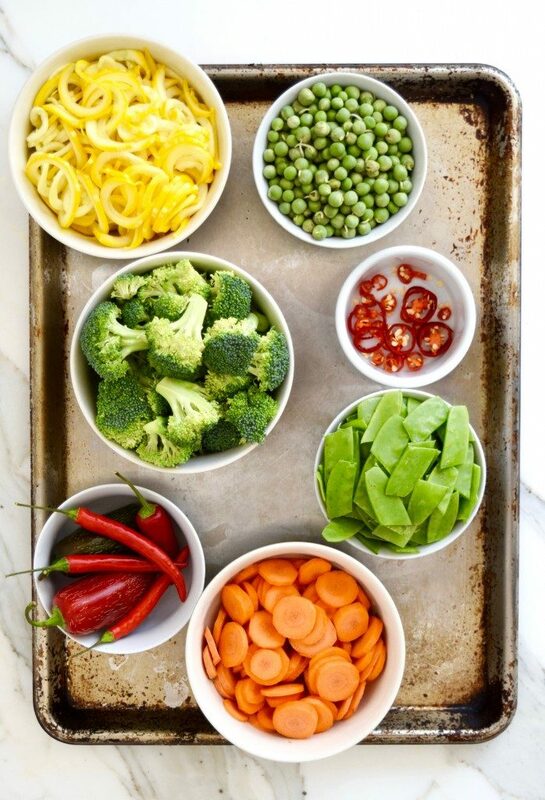 I almost always have culinary coconut milk and red curry paste on hand, and of course a variety of fresh vegetables, too, so I can whip this together quickly when I don’t know what else to make, or frankly, don’t feel like actually cooking. 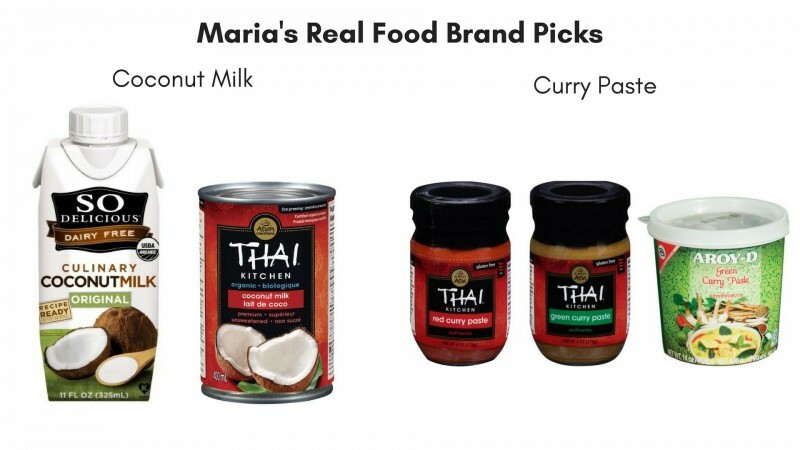 I typically order the So Delicious Culinary Coconut Milk and the Thai Kitchen Red Curry Paste at vitacost.com (which is cheaper than in stores). Heat a pan over medium heat. Add the coconut milk, curry paste, and turmeric. Stir well, bring to a boil, then reduce heat and simmer for 5 minutes. Next, add vegetables, chickpeas, and optional additional chiles if you want it super hot. Cover, and cook for 8-10 minutes, or until vegetables are soft. To serve, garnish with fresh basil and optionally, a few more small red chiles. 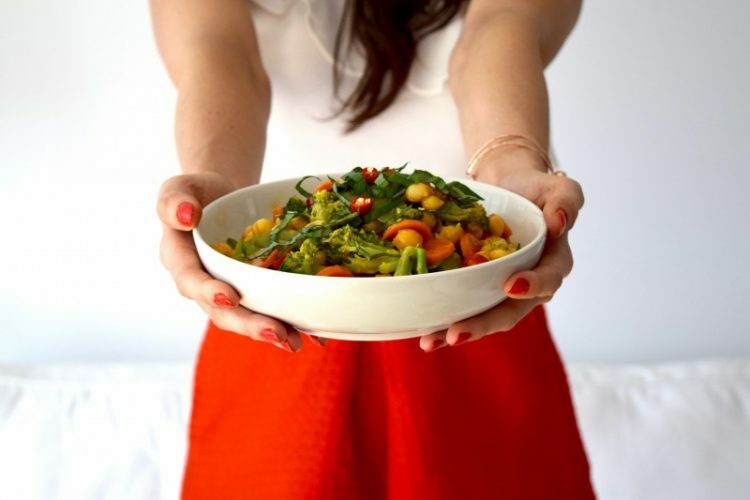 Eat this vegetable curry on its own, or serve over rice or cauliflower rice. *Only recommended if you like really spicy food.